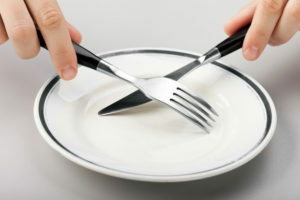 An exciting new study reported in Cell Reports finds fasting-mimicking diet reduces MS symptoms in mice and humans. Fasting kills off the bad cells and regenerators healthy ones. By fasting for three day, returning to a normal diet of seven and repeating this for three cycles, the immune system repairs itself. Valter Longo lead the study for USC Longevity Institute. He explains, “We started thinking: If it kills a lot of immune cells and turns on the stem cells, is it possible that maybe it will kill the bad ones and then generate new good ones? That’s why we started this study.” Results of his study showed increased corticosterone levels, the steroid hormone responsible for controlling metabolism, a decrease in cytokines, which cause inflammation, “improvements in the white blood ‘T cells’ responsible for immunity,” and most importantly, myelin regeneration. In Young Choi et al. A Diet Mimicking Fasting Promotes Regeneration and Reduces Autoimmunity and Multiple Sclerosis Symptoms. Cell Reports, May 2016 DOI: 10.1016/j.ceirep.2016.05.009.